- Select - Alabama Alaska American Samoa Arizona Arkansas California Colorado Connecticut Delaware District of Columbia Florida Georgia Guam Hawaii Idaho Illinois Indiana Iowa Kansas Kentucky Louisiana Maine Maryland Massachusetts Michigan Minnesota Mississippi Missouri Montana Nebraska Nevada New Hampshire New Jersey New Mexico New York North Carolina North Dakota Ohio Oklahoma Oregon Pennsylvania Puerto Rico Rhode Island South Carolina South Dakota Tennessee Texas Utah Vermont Virgin Islands Virginia Washington West Virginia Wisconsin Wyoming * Require Air? WHY CHOOSE OUR PRIVATE DRIVER VACATIONS? Experience Ireland or Scotland your own way with a custom-tailored vacation – our travel experts will help plan your perfect trip. Choose your ideal dates and itinerary CIE Tours will reserve all your hotels and book your visits. Get a local's perspective when you travel with an expert guide who will share a wealth of knowledge along the way. Sit back, relax and enjoy your personally selected experiences with no worries about driving on the left side of the road. Perfect for 2 or up to 9 guests traveling together in your own private vehicle. Choose from our list of pre-scheduled packages, based on our most popular luxury guided vacations. Not sure where to go or what to see? 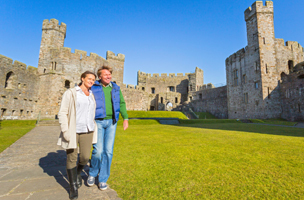 Our Ireland and Britain private tour experts have done all the homework for you, handcrafting a selection of suggested itineraries. Don't see an itinerary that caters to your interests? Click GO and fill out the request form, leave a comment and we'll help curate the perfect vacation for you. 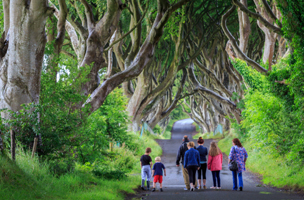 These private-driver tours allow you to enjoy the true essence of Ireland and Britain while your driver looks after you every step of the way. For more information please call one of our helpful travel experts at 888-467-2685. Private-driver vehicle – a Sedan, Multi-Person Vehicle (MPV), or Minibus based on the number of travelers. 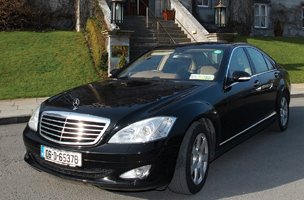 Pick up and drop off at any major airport or location in Ireland or Scotland. Comprehensive insurance, gasoline, tolls and parking. Services of a professional driver / guide. Full breakfast daily (except on day of arrival). All local taxes and hotel service charges.